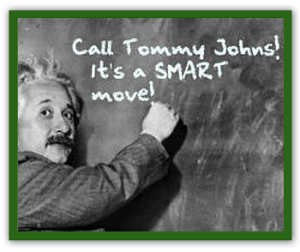 Here’s what some of your peers are saying about Tommy Johns Presents and the educational programs we offer. “Everyone loved Go Wild! (the science and reading program)and want you to come back! I have let other schools know about the AWESOME show my students saw. I tell them how well you manage and control student behavior, and how much the kids l earned. “Very motivating for the kids and the staff! The thing I liked most about “Go Wild!” was the way you related fun, science, reading and geography into a show that was both very educational AND entertaining! “Tommy is a delight to work with, from start to finish. I appreciated the information he sent ahead of time — everything from posters to tax forms included in one packet. I appreciated his flexibility — he was able to change the time on one of our shows at the last minute, and he was also willing to work in another show the same day for a community group. Most of all, I appreciated the way he interacted with the kids before and after the program. He has a magic touch, in more ways than one. “The children and the teachers are still talking about the “I Love To Read” show you presented on Tuesday to help us celebrate Read Across America and Dr. Seuss’ birthday. The children saw me Tuesday and Wednesday as I was around the building, and would say, “I saw you do that magic.” or “Did you really do that magic?” The teachers talked about how good you were with the children as we had conversation in our faculty meeting yesterday. “Thank you! Thank you! Thank you! for creating a wonderful memory for the children and the staff of Bryant Primary School, especially because the memory is connected with reading, one of the most important gifts we give our students. 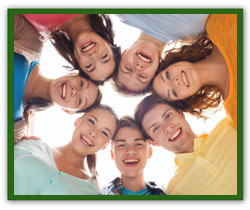 Find out more about our teen programs!